Living with anxiety is a crippling affair. You cannot make a steady decision without running endless laps in your brain while your heart pumps gallons worth of blood that shoots up and down your body with relentless intent. Having lived with anxiety and depression for the last thirteen years, I’m aware of the effects it has on the human mind. When it began for me, at the age of 12, there wasn’t the level of support you can find for people with this affliction that you have now. The world has taken the right course of action toward educating the public at large over these problems. However, this movement hasn’t been felt in the eastern side of the planet as much. In the Indian subcontinent, anxiety and depression are still misunderstood as excuses one makes to avoid work or studies. Only among the youth is the idea of anxiety seen as a plausible reason. For the older generation, this is a problem not worth exploring. Growing up suffering from anxiety, the world was a scary place for me. The prospect of meeting new people sent shivers down my spine, but it wasn’t something I could explain. The brown community mistakes reluctance with attitude. I’ve been called “arrogant” by adults due to my lack of involvement in group activities. A male is seen as a figure of dominance in society; more so within Asian circles. We’re not meant to show vulnerability even as children. Should a boy display any sense of fear in public situations, he is in danger of being exposed to a world of bullying. Anxiety changes a person, and as a child it can be difficult to understand what your emotions are telling you. Erratic behavior can be seen as a way to shield oneself from the nervousness they feel is being displayed. My seemingly over-the-top attitude was met with belittlement from the other children in school. Teachers didn’t offer any help, either, I was scolded by authority figures for “trying to act too smart”. It took me years to understand where my behavior was coming from. Unfortunately, unchecked anxiety can lead to depression. Being alienated by your peers will turn into a sense of despondency, the solitude evolves into depression. The issue with anxiety and depression should be tackled with at the source. If adults can admit children are struggling with panic issues then these adolescents can confront their problems at an age where it’s not too late to overcome them. For this reason, I’m thankful to the Western side of the world for influencing the East to acknowledge anxiety and depression as a mental illness. The stigma around this issue still remains, however, when considering an adult male. Men unable to procure jobs due to their crippling fear of rejection at the workplace is more commonplace than it’s been known. If anxiety is pointed out as the root of the problem, brown men are ridiculed as weak. You wouldn’t count a person with a physical illness as weak, would you? But mental health isn’t considered as a viable cause for failure. Men in the Asian society are simply told “Mard Bano” (Be a Man) whenever the issue of anxiety is touched upon. It is viewed as a problem associated only with women. Anxiety can cause tics that people use to cope with situations; mine was caught by classmates at school. In stressful moments such as interacting with others, I have a nervous tick that causes me to raise my eyebrows whenever someone addresses me. This was used to mock me for the remainder of my duration at school, even after I’d worked at stopping this tic. “Kiya Joker waali harkatain karta hai” (Why do you act like a Joker? ), was what they asked while laughing at me. As I’ve grown up, so has my anxiety latched onto me; it’s held me down from progressing further in my career as well. I have the benefit of having identified my problem to be anxiety, but there are thousands of men out there who have lived with mistaking this illness with weakness. Awareness toward mental illness has increased in recent years in Asia, but it is far too scattered. A proper system of education toward this problem – for all ages and genders – should be implemented to prevent any negative impact. A child should feel secure with the knowledge that his fears will be touched upon by elders and no stigma will be attached to his problem. I’ve had my fair share of alienation from peers and classmates, but I’ve resolved to share my experience so that any other youth might not shy away from seeking help. Living everyday life can be a horror show if wherever you go feels like walls closing in from all sides. And without any support, the sinking sensation of depression is imminent. Depression and anxiety go hand-in-hand, one precedes the other. Empathy and sympathy are tools that can effectively destroy mental illness, if only handed out when someone needs it. More word should be spread out for Brown men to feel confident enough to come out and admit their ailments. Only then can the stigma be fully lifted from this part of the world. 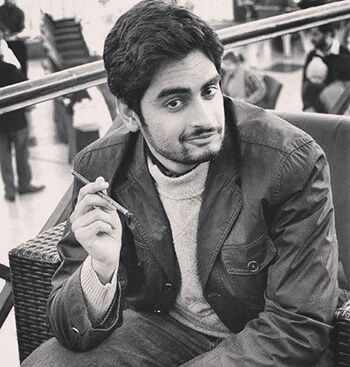 Saim Cheeda is a 25-year-old freelance writer and novelist from Pakistan. He has dealt with anxiety and depression since 2010 and aims to bring awareness to mental health. He can be found on his personal blog called 3 States Apart. He can also be found on LinkedIn. 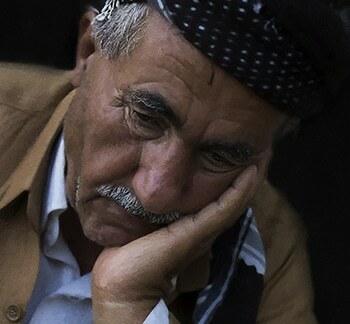 Saim has also written three novels focusing on life, spirituality and love.